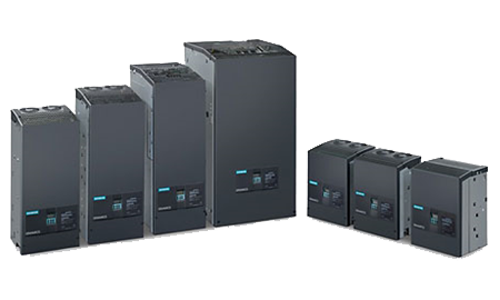 With DC drives from Siemens you can significantly reduce drive technology costs. SINAMICS and SIMOREG converter families deliver top performance and integrated intelligence for maximum availability. Perfectly aligned to our DC motors, our DC drives offer maximum availability and user friendliness. SINAMICS DCP is a highly innovative bidirectional DC-DC converter and completes our offering for grid applications. It suits perfectly for industrial as well as for multi-generator applications. THYRIPOL excitation system is suitable from low to high power classes, mainly in hydroelectric, gas and steam power plants and set itself apart with the high level of reliability and efficiency.